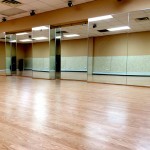 Bollywood fitness introduces a fun-filled, highly energetic way to exercise and burn calories. Students will enjoy the beats of Bollywood music while also learning some basic dance moves. This class takes the rhythm of Bollywood and delivers a muscle-strengthening work out for anyone and everyone. Solely with the intent of dancing at a party, Party Technique teaches prospective students a variety of dance moves, sampling from Bollywood, Jazz, Salsa and Hip-Hop. This class uses the beats of Bollywood to demonstrate the perks of dancing at party and showing off those crazy moves Read More..